For fans of Redux and Typescript like myself, the release of Redux 4 was a highly anticipated event, and it did not disappoint. The new enhanced typing definitions help to provide a nice and strongly typed Redux setup, minimizing the number of runtime errors. This article will give you a different perspective on the many ways you can structure the app. Feels like TLDR? Skip it and check the source, here. Note: This tutorial assumes a baseline familiarity with the following topics on Redux and Typescript on the reader's part. One option is to reuse Action from redux, even though we could write our own easily. In my experience, designing it with an additional meta optional property facilitates further introduction of analytics logs. 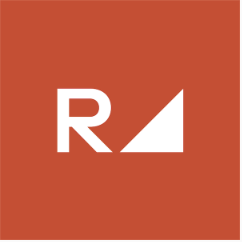 Some colleagues from Rangle did a great job on putting together an analytics library called redux-beacon, check it out! Based on these two generic types, we can write two generic functions to handle the creation of all actions, which helps to unify the shape of actions running through the system. A caveat in Typescript due widening of types (check TypeScript 2.1 release notes), is that in order to further use enums as action types, we need to restrict the generic argument Type to something that is a string, so that the types can be assignable. Using the generic definitions PayloadAction and Action as a base for the types, more specific actions can be defined. In the end, we want to be able to define a type that represents all possible actions that the reducer can handle. We can accomplish this by using a union type, creating ITodoActions. In this example, ITodoActions does that job by being a union of all possible actions this module needs. Due the generic arguments, which the app action creators (createPayloadAction, createAction) benefit from, and as long as the right parameter types are given to them, the returning types PayloadAction and Action are assignable to the more specific actions. For instance, IAddTodoAction requires type as ITodoActionTypes.ADD_TODO and payload as string. We are not going to focus on how we handle the actions, instead, we will have a look at how Typescript can infer and restrict the corresponding type definitions for each case in the switch statement. This happens because todoReducer is typed as a Reducer<ITodoState, ITodoActions>, which automatically makes the state and action arguments be ITodoState and ITodoActions respectively. Knowing that the action’s type restricts the switch cases to a set of predefined actions, and Typescript reinforces this by throwing errors if any of the switch cases include actions that aren’t in the enum we previously defined ITodoActionTypes. Another thing I learned from a friend is that we can ensure never is the action type for default cases, this will enforce every new action type that is added in the combinations of all actions (ITodoActions) to have a corresponding switch case. The last interesting part is a way we could structure the root reducer creation, so that additional reducer state slices can be added in programmatically. It can be achieved by leveraging the replaceReducer function from redux, by simply storing the dynamically added reducers. This happens since the expected type for todo is Reducer<ITodoState, ITodoActions> and not Reducer<IFakeState, IFakeActions>. This is a nice compile time validation, especially in large-scaled apps with several developers contributing to the same code base. Finally, hook createRootReducer by calling it when creating the store. Hopefully, this setup gave you another perspective on how to safely inject new reducers that are lazy loaded, as well as how to leverage some basic tricks of Typescript with intersection types and the basics of generics. Enjoy this post? Stay tuned for my next post on Typescript, coming soon!